Our pal, Joey, was going on and on and on about how “scary” vampires are; we had to disagree. Vampires are actually kind of endearing if you--AHHHH! Holy Transylvania! What is that thing??? OK. We take it back. Some vampires are scary. Very scary. When we saw this thing coming at us, we didn’t know what to do. This definitely doesn’t look like a vampire a little garlic would fend off. So if you are wanting to ensure that your vampire costume is indeed (very) scary this year, this Viper Vampire Mask can make that happen. Our heart is still racing from seeing it. 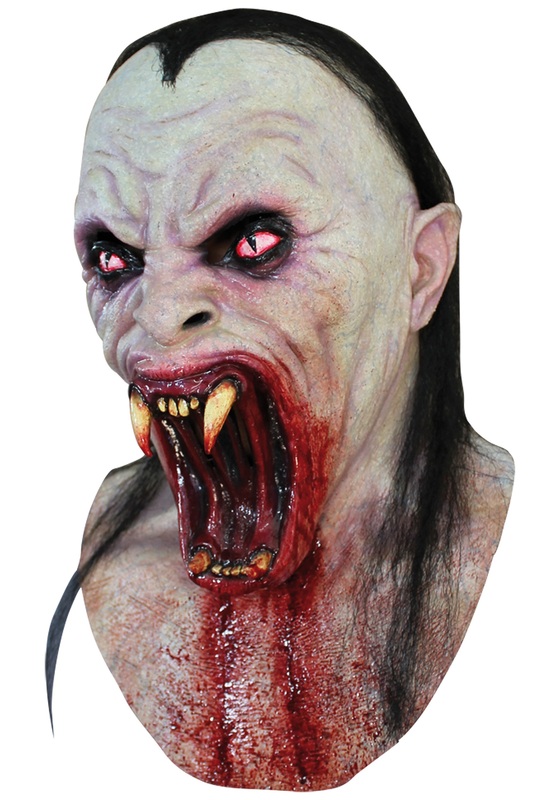 It has pale, deadened skin and extra long, bloody fangs, not to mention its gross black hair--so you can elicit screams wherever you go this Halloween. So, Joey, here it is on the record: we were wrong. Some vampires are pure terror. Just don’t get used to it. We’re usually only wrong once every 100 years or so.